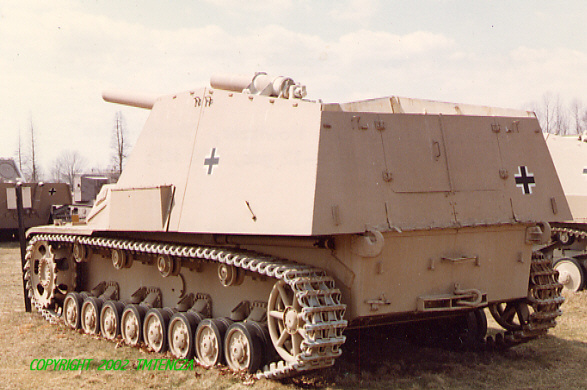 howitzer in a lightly armored superstructure on the same hybrid Panzer III/IV chassis used for the Nashorn. 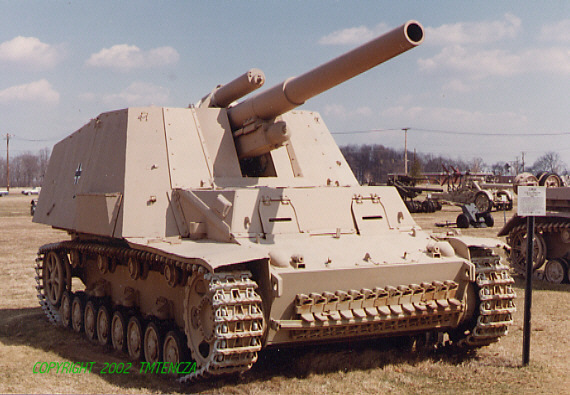 Designed to provide armored units with artillery support. Crew protection was poor. Silhouette too high. First saw action at Kursk initially as a battery of 6 Hummels per Panzer Division. Later a second battery was added. A total of 666 were constructed by the firm Deutsche Eisenwerke. 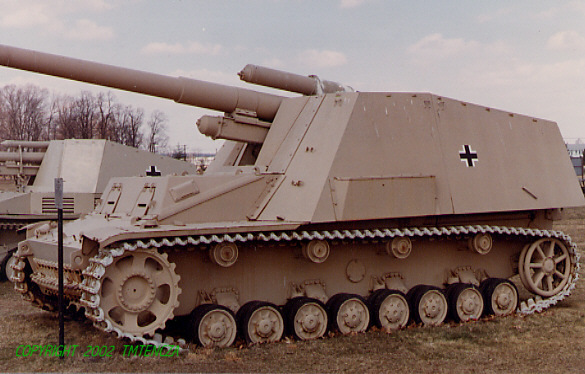 In addition, 150 gunless Hummels were produced as munitions carriers.